A tricyclic drug works by using a three-ring chemical structure, balancing the brain’s chemicals by blocking reabsorption of neurotransmitters. It may also be used to treat neuropathic pain syndromes like fibromyalgia, cancer pain and to prevent migraines. Many doctors are replacing this medication with newer, more effective selective serotonin reuptake inhibitors (SSRIs) today. 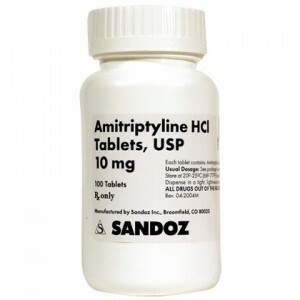 Amitriptyline may be prescribed in tablet dosages of 10, 25, 50, 70 and 150 mg.